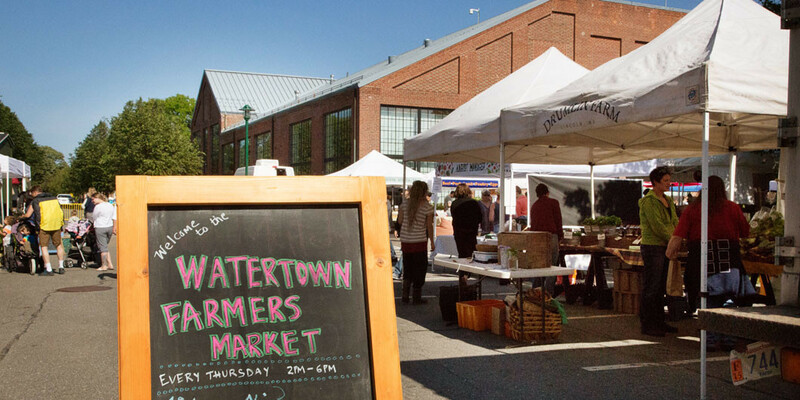 The Watertown Farmer’s Market offers farm-raised food overlooking the cityscape, where the answer to “Is this local?” is always a resounding yes.The market, as the town’s first and only farmers market, has quickly become beloved by Watertown residents and Arsenal on the Charles employees alike. Each Thursday afternoon local farmers and food producers from across the state converge, filling their tables with gorgeous just-picked produce, fresh-caught fish, sustainable meats, eggs, bread, hard cider and more. As a community gathering spot with a friendly, welcoming vibe, the market features weekly live music, frequent activities and a family-friendly atmosphere. In addition to grocery staples, vendors offer unique items like ice cream in off-beat flavors, fruit and herb infused popsicles and hot tamales. Customers can pick up a snack or drink from vendors and hang out at the tables and chairs by the market to enjoy the band and chat with friends. It’s easy to shop at the market with cash, credit, debit, or SNAP food assistance. Athenahealth sponsors the market SNAP-match program, doubling the dollars of low income shoppers with a one-to-one match up to $15 each week. For more information, visit the market website at www.watertownmarket.com or follow the market on twitter, Instagram or facebook. Join the newsletter for a weekly update on market news, events and guest vendors. 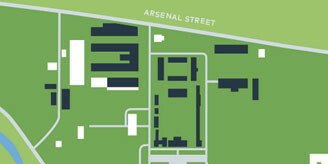 The market is produced by Relish Management and sponsored by athenahealth.